The firm was established in Tullamore in 1987 and in 2015 opened its Dublin Office in The CHC Building, 7 – 9 Dame Court, Exchequer Street, Dublin 2. In 1989, the firm acquired the highly respected practice of Goodbody and Kennedy, which had been established in 1889. J.D. Scanlon & Co. has over a quarter of a century’s experience of providing a comprehensive range of legal services to both public sector and private clients. 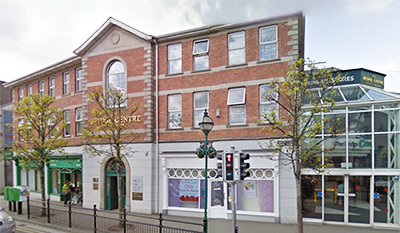 Centrally located in Tullamore and in the heart of Dublin City, we are ideally positioned to represent the legal requirements of our clients. We provide the highest standards of professional legal representation and advice, as quickly as possible, and at a reasonable cost. Our proactive approach to customer service is to deliver cost effective, professional legal services, promptly and courteously. Our in depth knowledge of legislation and wealth of experience in litigation in all Courts, and thorough understanding of the needs of our clients means that we are ideally positioned to represent your interests. J.D. Scanlon & Company was the first firm in the Midlands to be awarded the Gold Standard by Outsource, a leading firm of management consultants, in their QM Excel Accreditation Programme. The firm has achieved the Gold Standard for the past eight years in independent audits carried out by the Institute of Legal Research and Standards.